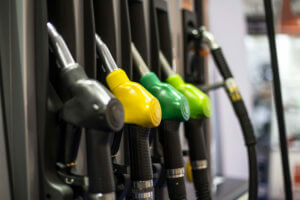 Average retail prices for petrol and diesel fuel in Ukraine in the period from December 21 through December 28, 2018 fell by 0.78-0.88%, while prices of LPG by 2.3%, according to data from the A-95 Consulting Group (Kyiv). Average retail prices for petrol and diesel fuel in Ukraine in the period from September 24 to October 2, 2018 grew by 2.3-3%, while prices of LPG climbed by 1.1%, according to data from the A-95 Consulting Group (Kyiv). As reported, average retail prices for petrol in Ukraine for 2017 increased by 19.2-20.1% (by UAH 4.61-4.76 per liter), for diesel fuel by 22.6% (by UAH 4.84 per liter). At the same time, average prices for liquefied petroleum gas (LPG), despite a sharp increase in August due to deficit, showed an increase of only 2.9% for the year (by UAH 0.36 per liter).